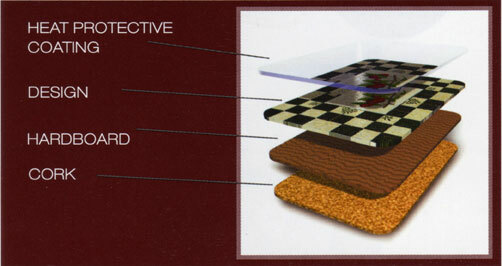 A contemporary collection of 6 placemats. Set in an aqua tones finish with underwater themes. 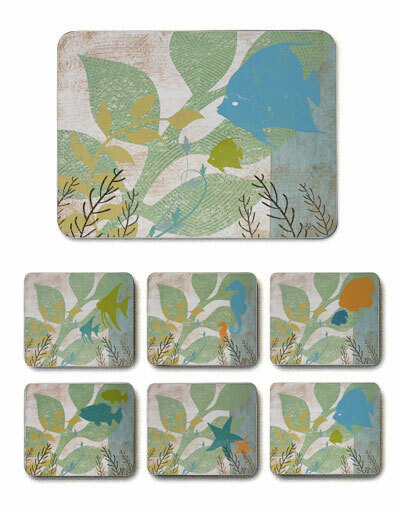 The design here is called Sea Life and all 6 placemats are in slightly different designs. The cork base placemats are made using the top quality materials and each has a heat protective coating which gives a stain resistant flat surface. Pack of 6. Size is 29x21.5cm and the set is supplied in a nice smart giftbox. Click image for more details.